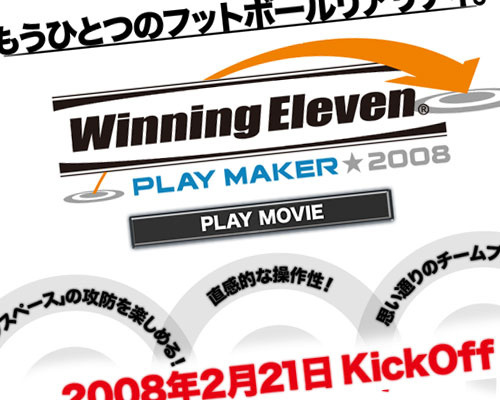 Konami of Japan has released a gameplay video for the upcoming Winning Eleven: Play Maker 2008. 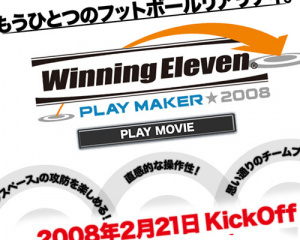 The more astute amongst you will know that Winning Eleven is the Japanese title for the Pro Evolution Soccer series. The video shows us two things: firstly, the game is looking mighty fine graphically and secondly, the controls are going to make those heated multiplayer sessions very interesting indeed. Konami has embraced the possibilities of the Wii interface and it all seems to make sense from what we can gather by watching the footage, but obviously until we get our hands on it we can’t say for sure if it offers the same precision and accuracy of the standard PES control setup. Still, it’s good to see a developer really exploiting the unique nature of the Wii’s controls. Click here to view the video.